Originally opened in 1919, the Grand Theatre in Douglas Arizona was constructed for $250,000 and was one of the largest theatres in the southwest United States at the time. The theatre struggled in its first few years due to a local economic downturn and a national influenza epidemic that kept theatre goers from attendance. Despite the rocky start, the theatre would go on to host many of the top names in Vaudville, as well as silent movies. It also served as a community center for graduations from the local school and other town events. In 1958 the doors shut and a period of decay begun that caused a large amount of damage and disrepair to the establishment. 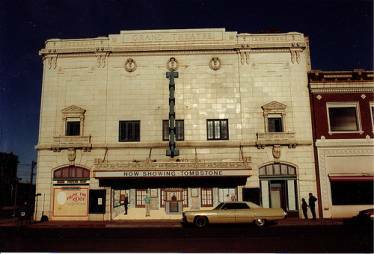 $1 was the purchase price a group of concerned Douglas resident paid for the theatre in the 1980s with the hope of a restoration that is estimated at $9.5 million in cost. Portland Bolt manufactured custom high strength and heat treated A449 anchor bolts as well as F1554 Grade 55 all thread rod anchor bolts for the earthquake retrofit project portion of the project. Since our founding in 1912, Portland Bolt has been proud and honored to be involved in such notable and unique projects.